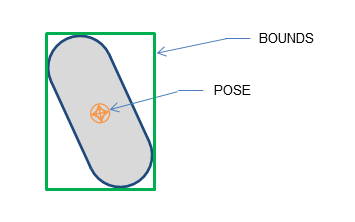 In all of the following functions, a geometry object is defined by its shape (a PxGeometry structure) and its pose (a PxTransform structure). All transforms and vectors are interpreted as being in the same space, and the results are also returned in that space. 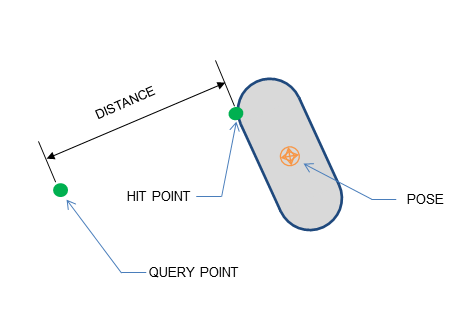 A raycast query traces a point along a line segment until it hits a geometry object. PhysX supports raycasts for all geometry types. u and v (PxHitFlag::eUV) are the barycentric coordinates of the intersection. These fields (and the flag) are supported only for meshes and heightfields. This mapping is implemented in PxTriangle::pointFromUV(). For raycasts, a plane is treated as an infinite single-sided quad that includes its boundary (note that this is not the same as for overlaps). 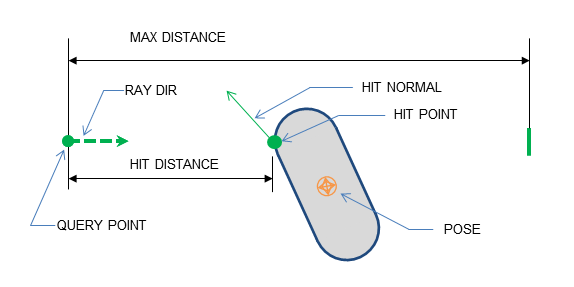 At most one result is returned, and if the ray origin is behind the plane's surface, no hit will be reported even in case the ray intersects the plane. if maxHits is 1 and PxHitFlag::eMESH_ANY is not set, the query will return the closest intersection. 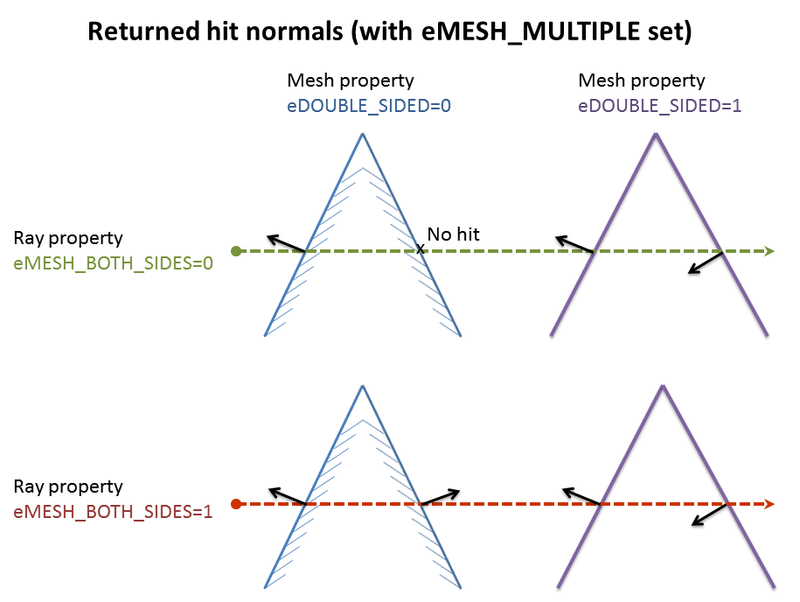 if maxHits is 1 and PxHitFlag::eMESH_ANY is set, the query will return an arbitrary intersection. Use this when it is sufficient to know whether or not the ray hit the mesh, e.g. for line-of-sight queries or shadow rays. if maxHits is greater than 1, the query will return multiple intersections, up to maxHits. 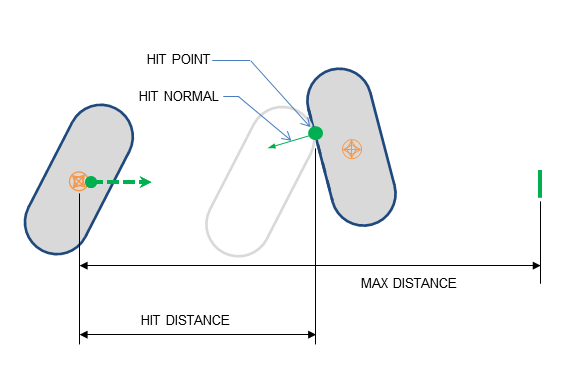 If more than maxHits intersection points exist, there is no guarantee that the results will include the closest. Use this for e.g. wall-piercing bullets that hit multiple triangles, or where special filtering is required. Note that PxHitFlag::eMESH_MULTIPLE must be used in this case. If the start or end point of a ray is very close to the surface of a triangle, it may be treated as being on the either side of the triangle. Heightfields are treated the same way as triangle meshes with normals oriented (in shape space) in +y direction when thickness is <=0 and in -y direction when thickness is >0. Double-sided heightfields are treated the same way as double sided triangle meshes. Here, maxIter is the maximum number of iterations for the algorithm, and nb is an optional output argument which will be set to the number of iterations performed. If no overlap is detected, nb is set to zero. The code will attempt at most maxIter iterations but may exit earlier if a depenetration vector is found. Usually maxIter = 4 gives good results. faceIndex is the index of the face hit by the sweep. This is a face from the hit object, not from the swept object. For triangle mesh and height field intersections, it is a triangle index. For convex mesh intersections it is a polygon index. For other shapes it is always set to 0xffffffff. For convex meshes the face index computation is rather expensive. The face index computation can be disabled by not providing the scene query hit flag PxHitFlag::eFACE_INDEX. If needed the face index can also be computed externally using the function PxFindFaceIndex which is part of the PhysX extensions library. The same backface-culling rules as for raycasts apply for sweeps, with the notable difference that eMESH_MULTIPLE is not supported. the faceIndex is a face from the second geometry object. For a heightfield or triangle mesh, it is the index of the first overlapping triangle found. For other geometry types, the index is set to 0xffffffff. 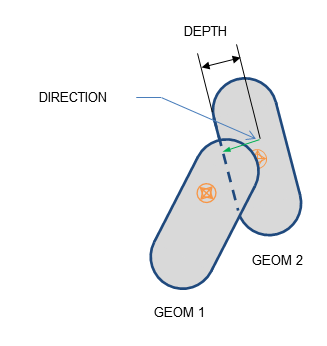 in most cases, translating the first geometry object by -normal*distance will separate the objects. However, an iterative depenetration algorithm is used to find the MTD for triangle meshes and height fields, and the MTD result may not provide complete depenetration from the mesh in extreme cases. In this case the query should be called a second time after the translation has been applied. cachedIndex, if set, specifies the index of a triangle to test first. This can be a useful optimization when repeatedly sweeping against the same set of triangles. 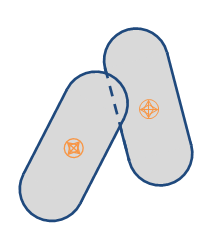 The only supported flags are PxHitFlag::eDEFAULT, PxHitFlag::eASSUME_NO_INITIAL_OVERLAP, PxHitFlag::ePRECISE_SWEEP, PxHitFlag::eMESH_BOTH_SIDES and PxHitFlag::eMESH_ANY. The function tests each input triangle in the order they are given. By default, the function will test all triangles and return the closest sweep hit (if a hit has been found). If PxHitFlag::eMESH_ANY is used, the function will return as soon as a hit is found (skipping the remaining untested triangles). This flag can also be used to emulate PxHitFlag::eMESH_MULTIPLE, by calling the function repeatedly with PxHitFlag::eMESH_ANY, using as a starting point the previously returned hit triangle (whose index, between 0 and 'triangleCount', is available in sweepHit.faceIndex). © Copyright 2008-2018 NVIDIA Corporation, 2701 San Tomas Expressway, Santa Clara, CA 95050 U.S.A. All rights reserved.